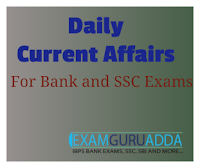 Dear Readers, we are presenting Daily Current Affairs for All Exams- 4th December 2016. 1. The Indian Space Research Organisation (ISRO) will launch 83 satellites into space in one go, aboard a single rocket in January 2017. 2. This announcement was made during the proceedings of the lower house, Lok Sabha on 30 November 2016. Amoung the 83 satellites, 3 belong to India while the other 80, weighing 500 kg belong to five foreign nations including Israel, Netherlands, Kazakhstan, Switzerland and the United States of America. 3. The launch of these foreign satellites by India is a part of a commercial agreement signed between these countries and Antric Corporation Ltd, which is the commercial arm and Public sector undertaking of ISRO. 1. In an unexpected move, Nico Rosberg announced his retirement from Formula One , just five days after he grabbed his first-ever F1 World Champion title in the season’s final race at Abu Dhabi. 2. The 31-year-old, who beat his Mercedes team-mate and three-time world champion Lewis Hamilton by five points, stated that he was retiring from the sport to spend more quality time with his wife, Vivian and baby daughter, Alaia. 3. This is the first time that a reigning world champion has decided to quit the sport. Last time something similar happened was in 1993 when Alain Prost announced his retirement after winning his fourth driver’s title. 2. It was the Prime Minister's first visit to the shrine and he was accompanied by Afghanistan President Ashraf Ghani. The visit came on the sidelines of the 6th Heart Of Asia-Istanbul conference on Afghanistan. 1. Indian women maintained their supremacy in the Asia Cup by beating arch-rivals Pakistan for their sixth title in as many editions on Sunday. 2. Veteran Mithali Raj, who was removed as T20 captain before the start of the tournament, made a statement with an unbeaten 73 to guide India to 121 for five in 20 overs. 1. India's Mukesh Kumar on Sunday became the oldest golfer to win an Asian Tour title when he lifted the weather-hit Panasonic Open. 2. The 51-year-old Mukesh, who has 123 PGTI titles under his belt, turned in a two-under 70 in the final round to total 10-under 206 to claim the trophy -- his first on the Asian Tour. 1. India will train Qatar police for handling the security during the FIFA World Cup 2022 scheduled to be held in that country. 2. The training arrangement was agreed upon during a meeting between Qatari Prime Minister Sheikh Abdullah Bin Nasser Bin Khalifa Al Thani and Union Home Minister Rajnath Singh in New Delhi. 1. The Sixth Ministerial Conference on Heart of Asia- Istanbul process of Afghanistan today adopted the Amritsar declaration, which puts focus on the concerned countries to address terrorism and enhancing regional economic cooperation. 2. The declaration recognises terrorism as the biggest threat to peace and security. And demands immediate end to all forms of terrorism and all support financial and safe havens providing sanctuary to it.